Are you looking for a superior recreational kayak with loads of features? You just might be glad you landed here, because we have found a great set of kayaks that fit the bill! 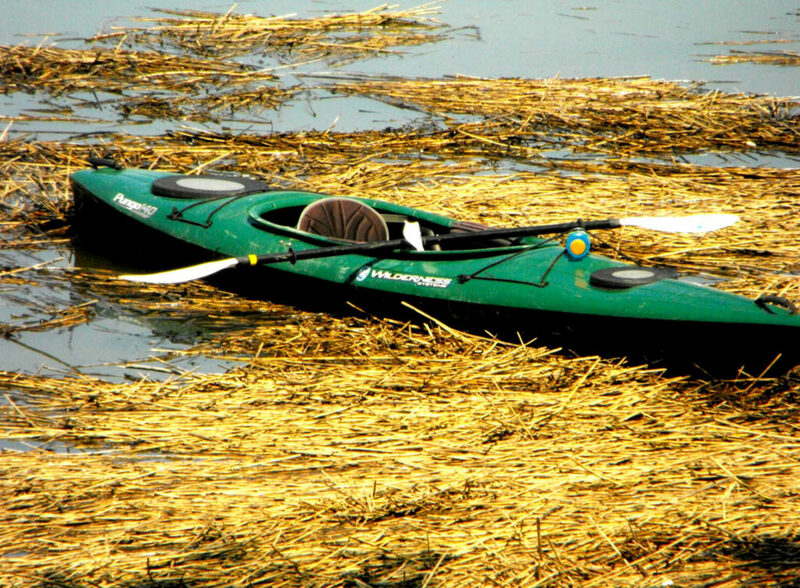 Wilderness Systems has created the Pungo Series of sit in kayaks to serve the discerning recreational kayak buyer. 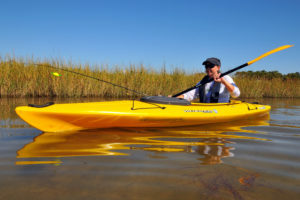 This series offers three lengths of kayak: the Pungo 140 (14-foot), the Pungo 120 (12-foot) and the Pungo 100 (10-foot), as well as two angling kayaks (the Pungo 140 Angler and the Pungo 120 Angler) and one ultralight model (the Pungo 120 Ultralite). These versatile kayaks have similar features. We would like to focus on the Wilderness Systems Pungo 140 for starters. The Pungo 140 is the longest of the series, at 14 feet. This length allows the Pungo 140 to be considered an advanced recreational kayak or a crossover into the touring kayak category. Due to its long length, it is faster than its shorter series cousins, but still stable. You may not win any speed trials with this boat, but you will be able to get where you want to go as the Pungo 140 slices through the water with ease. For immediate info on the Pungo Series at Amazon, click here. Otherwise, click below for specifics or just keep reading! 1.1 What’s it made of? 1.2 How does it track? 1.4 How about the cockpit? 1.5 Is this a comfortable kayak? 1.6 Will it hold all your stuff? 1.7 So is it hard to transport? 1.8 Are there plenty of colors to suit your style? 1.9 Where can you buy one of these cool kayaks? 2.1 Prefer a shorter kayak? 2.2 Is this the kayak for you? 4.1 Are you a fisherman that prefers a sit in fishing kayak? 4.2 Can you stand up in it? 4.3 Where can you get one? 5.1 So you want it all and in a lightweight boat too? The Pungo 140 body is made by Wilderness Systems from Gen 2 polyethylene for a reasonably lightweight, sturdy and damage-resistant structure. It has a moderately wide beam of 28”, but still slender enough to glide sleekly through the water. The multi-chined hull has a central vee chine that run the length of the body, as well as two side offset chines, making this kayak track well, even when coasting between strokes. The sharp plumb lines of the bow and stern accentuate the stability of the craft. Want to hang your legs in the water to cool off? You should have no problems doing this without fear of capsizing, due to its high initial stability. Secondary stability, while you are under way, is great too. The sides of the bow are lightly flared to help water flare away from the sides, so paddle on! Do you shop in the big and tall department at the clothing store? 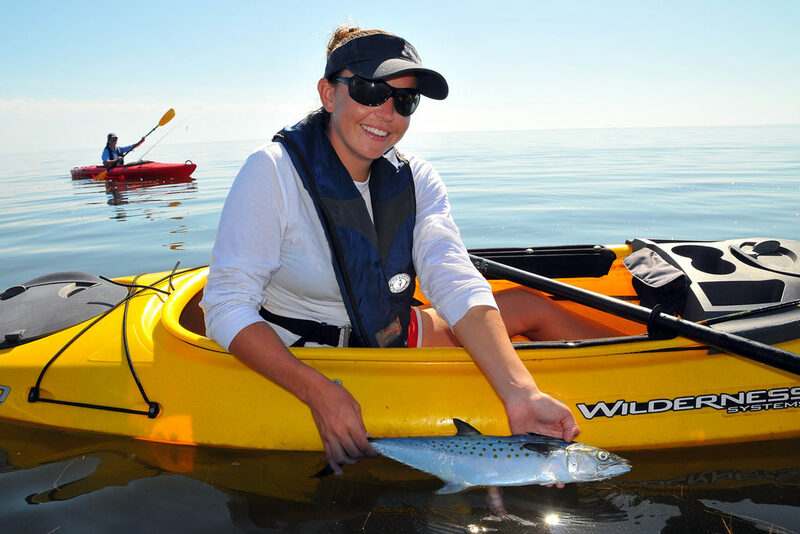 The Pungo 140 is definitely the kayak for you. It boasts one of the widest kayak cockpits available on the market. At 57” long by 22” wide, this boat’s cockpit is roomy and spacious enough for larger sportsmen and is also ideal for beginners or those who may not enjoy the closed-in feel of a standard cockpit. The depth of the cockpit is 13”. Even with the large opening, you can still install the optional spray skirt around the lip for a dryer ride. Is this a comfortable kayak? If you are going to be spending hours on end in your kayak, you will love this seat! The Pungo 140 comes with the Phase 3® AirPro seat. This seat has a self-draining molded foam cushion with a water-shedding quick-drying fabric cover that keeps you from sitting in a puddle. The super-comfortable design includes a completely adjustable back as well. You can lower it for the best rowing posture, then raise it for extra support when relaxing, fishing or just floating about. The seat is also adjustable fore and aft, up and down, with a series of straps, and has a lever for raising and lowering under the mid-thigh area. There’s even a small pocket at the front of the seat, perhaps for your sunscreen or other items you need to keep accessible. For more creature comforts, the Pungo 140 comes equipped with adjustable foot braces using Wilderness Systems’ SlideLock XL foot brace system. This system allows the kayaker to adjust the foot braces easily while seated in the kayak by sliding a bar in a track on the inside of the kayak. The sides of the cockpit are lined with foam thigh pads for added user satisfaction. Will it hold all your stuff? If you plan to fish or camp with the Wilderness Pungo 140, you are in luck! The sealed fore and aft bulkheads are spacious. You have access to the interior of the kayak via the two Orbix hatches located in the bow and stern. These hatches are sealed to keep your items dry and hinged for ease of opening and keeping the hatch lid handy. They are opened with a simple lever lock system that can be done with one hand. No turning a two-handed lid or peeling up the edges as on some kayaks. And for those items you want to keep super-handy, there is the Kayak Konsole that can be mounted in the front of the cockpit. This detachable accessory, that comes with purchase of the boat, is mounted by sliding and clicking the console into the front of the cockpit skirt lip. An attached bungee is then stretched around the cockpit skirt lip. This useful accessory feature contains a small round watertight compartment for items you want to keep safe and convenient like your car keys and wallet. There are also two side trays, a double cup holder with two sizes and a small Velcro pouch. If you find that this feature makes your life more difficult, rather than helping you, you can take it off and leave it at home. As for additional storage, if you don’t need to push the seat all the way back in the cockpit, there will also be additional space behind the seat back that you can potentially put some items. While there are no perimeter lines, the top deck rigging includes two bungees for additional securing of paddles and other items. The maximum weight capacity for the Pungo 140 is 350 lbs., so even the big guys will have room for some gear payload. So is it hard to transport? Well, it is long, so you need to keep that in mind when considering your transport vehicle. But at only 58 lbs, it is not the heaviest in its category. It is feasible for one or two people to be able to put it on the roof rack or ladder rack of a vehicle. Transport between vehicle and water is easy with the two molded handle-niches and nylon webbing handles. Are there plenty of colors to suit your style? The Pungo 140 comes in a couple of solid colors like lime green and red. For extra fun, you can choose from a host of blended combination colors like Desert Camo, Sonar, Midnight, Dusk, Flint, Indigo, Galaxy and Mango. The combinations are individually done, so each boat coloration is unique. Where can you buy one of these cool kayaks? Click here to get a great deal on a Wilderness Systems Pungo 140 kayak at Amazon.com! You can most of the features above in the Pungo 120 model. What’s different about the Pungo 120? The Pungo 120 kayak is, well, shorter, for one thing. At 12 feet long, it is the middle child of the series. While it lacks a little of the speed of its longer cousin, it’s still no slouch. At a slightly wider 29” width, the Pungo 120 has the same multi-chined hull and flared bow as the 140, for superior tracking ability and outstanding stability. And there’s still the awesome Phase 3® AirPro seat and the convenience of the Kayak Konsole. Storage is available in the aft bulkhead via the oval hinged Orbix hatch, but there is no bulkhead in the bow. Max payload is slightly less than the 140 at 325 lbs. Transport is enhanced by the hand holds attached at bow and stern and the 120 is slightly lighter at 51 lbs. Is this the kayak for you? Click here to see more features and pricing for the Pungo 120 on Amazon.com! Wanna meet the shortest in the series? That would be the Wilderness Pungo 100. At only 10 feet long, the Pungo 100 is short and easy to maneuver. It is a tad wider at 30” and is stable like it’s longer cousins and has the same type of hull for great tracking. The cockpit is the same width (22”) but slightly shorter (47.5”) than the 120 or the 140. It has one sealed bulkhead in the stern with access via the hinged Orbix hatch. 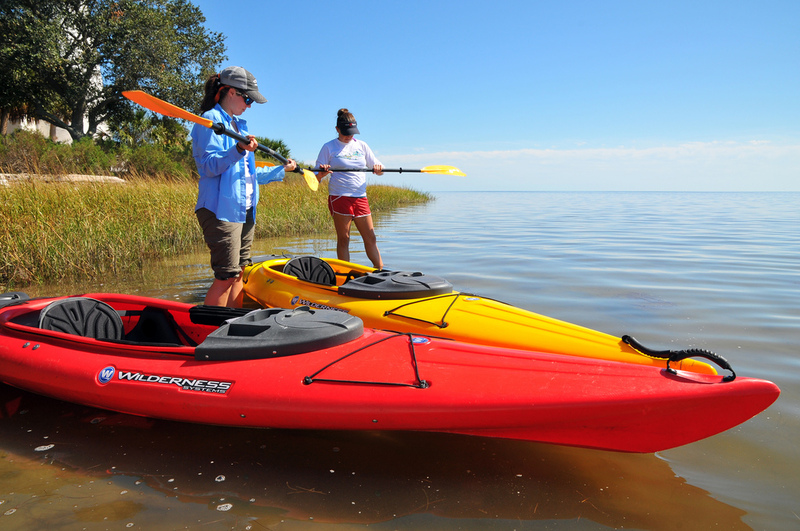 The Pungo 100 does not include the Kayak Konsole featured with the other models. Comfort features are the same. You still get the utterly adjustable Phase 3® AirPro seat, comfy side braces and easily adjustable SlideLock foot braces. The Pungo 100 is a snap to transport as well, weighing in at only 47 lbs. 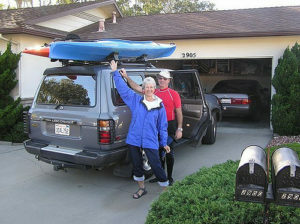 This little 10 foot kayak is a snap to throw into the truck bed or on top the car rack. The maximum load this little guy can carry is less than the other models, but still a respectable 300 lbs. So if you are looking for some of the best quality features of the Pungo series but want something smaller and more maneuverable, you will want to take a closer look. For features and pricing on the Pungo 100, you can check it out here at Amazon.com. 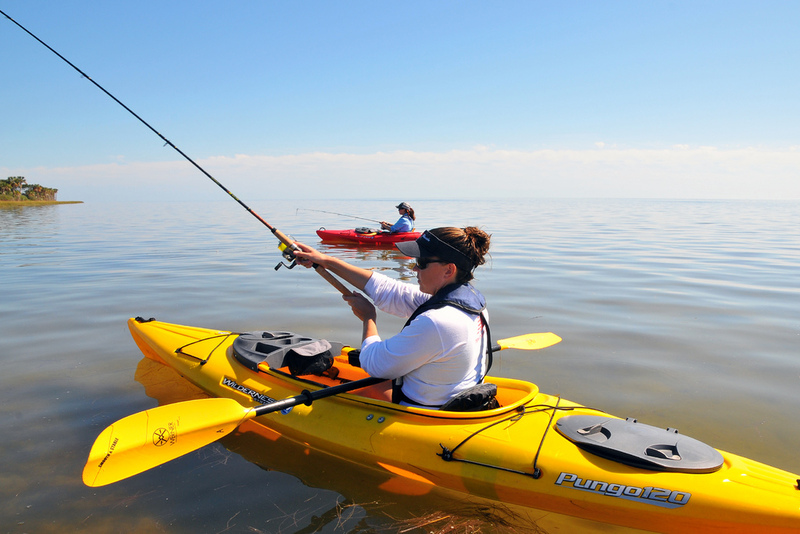 Are you a fisherman that prefers a sit in fishing kayak? The Pungo 120 and 140 both come in the Angler models. You get all the great features of the Pungo series with the addition of some fishing features including a flush mount rod holder and a pivoting rod holder. Maybe. See this video at 1:25. You can see features and pricing for the Pungo 140 Angler at Amazon here! Or check out the Pungo 120 Angler here! So you want it all and in a lightweight boat too? Maybe you would like the Pungo 120 Ultralite. Same great performance as it’s regular Pungo 120 counterpart but only 40 lbs! Sweet! Still has the great seat and comfort features. This model does not come with the Kayak Konsole accessory. Go here to Amazon.com to see features and pricing for The Pungo 120 Ultralite here. Whether you are a fisherman or a recreational kayaker, you are sure to find one of these Pungos to suit your needs. Beginners will find the performance of these kayaks to give them the best experience with entry into the sport. Seasoned kayakers will be pleased with the features and comfort. So, go get a Pungo! 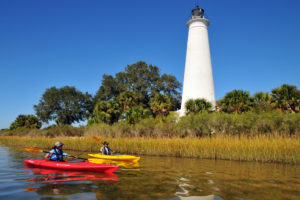 This entry was posted in Kayak Reviews, Sit In Kayaks and tagged pungo 120, pungo 140, Sit in kayak, wilderness systems on July 6, 2016 by Diver T.
I used to love kayaking – before my shoulder injury. The main problem is their weight, so thrilled to read about the Ultralite – if I can easily transport it, maybe I can kayak a little, and improve as I go on. I’m new to this sport. Can you also use this on the ocean? Hi Elizabeth. Yes, you can use the Pungo series in the ocean to explore coastal areas and bays and inlets. If you are near the ocean and are most interested in more wide-ranging sea kayaking, you may find a purpose-built sea kayak more suited to your use. Please keep posted to Aquamarine Sports in the near future for more articles on sea kayaking. Hi! These look really nice. I like the color selection. 🙂 We’ve been thinking of getting a couple of kayaks for our family. Borrowing is getting old! Can you tell me what kind of warranty they have? Thanks! Hi Marge. Wilderness Systems offers a lifetime warranty on material or manufacturing defects in the hull and deck. Accessories have a 1-yr limited warranty for material or manufacturing defects. You need to keep your purchase receipt. More info can be found here. I love that the spray skirt can fit around that large hole on the 140. My favorite part is the cup holders. 🙂 Makes for a relaxing trip for sure! I really like the idea of the Pungo 140 to go on a camping/fishing trip for a weekend somewhere. It would be a great way to see landscapes that you wouldn’t see from the road. Reading this is making me want to go kayaking 🙂 I have only rented in the past, but maybe it’s time to get my own. There are many places to go near my home. The 120 Ultralite looks really good, because of its lighter weight feature. Are there significant differences between these models in performance/speed? Good question! The hull shape of the 120 Ultralite is the same as the standard 120 and will give you all the design benefits there as in the stability and the aesthetic features. Yes, the weight does change some of the performance capabilities (eg. lighter is theoretically faster), but it may not be significant for the average recreational kayaker. Light weight would be an important point for me. I think otherwise it makes it too hard to transport, and the fishing features make it excellent for exercise and a day out, and the cup holders would be important for the fishing thanks for the article will be considering this one for sure. I am a hobbyist photography and have been considering adding marine photography to my portfolio. I think either the 140 or 120 would work best. Do you recommend one over the other for photographers? Hi Suze. Thanks for the question. Both the 120 and the 140 offer similar performance features, though the longer kayak has more storage. However, for photography, you might consider a sit on top kayak, one that you can stand in or even pedal. The Native Slayer and Native Slayer Propel are designed to be stable and roomy for standing during your activity. They have seats that can adjust to sit higher when you are on location ready to shoot. The Propel would even allow you to move the kayak quietly with your feet while holding your camera at ready. The Slayer also has tracks on the sides to mount accessories. Check out our post on the Native Slayer here and see what you think. Hi Jackie. 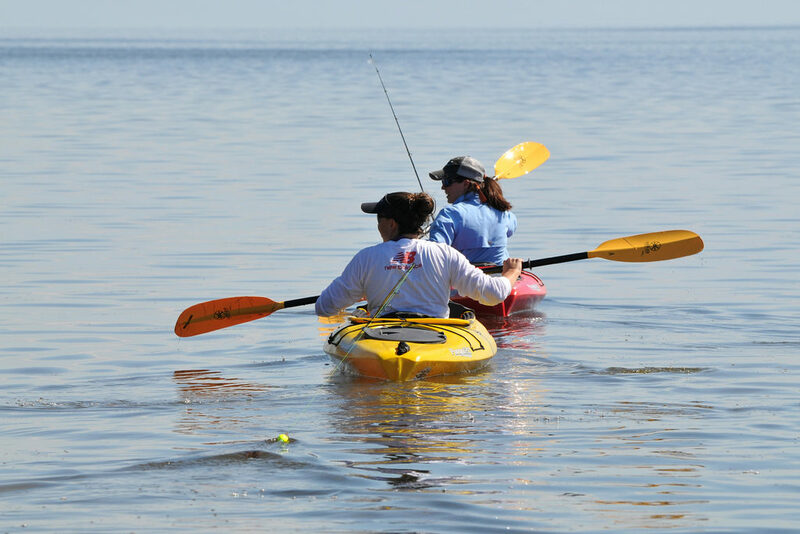 Your personal height doesn’t have too much bearing on what length of kayak you choose. Rather you want to have a cockpit size that suits. You want the seat and foot braces to be able to accommodate your smaller stature. The Pungo series boasts a larger cockpit opening which is suitable for larger people, but may or may not suit a smaller person, depending on preference. Some people like to have lots of room to move around and may feel confined in a tight cockpit, while others like to have the cockpit hug them tightly, particularly when navigating rapids. For general recreational use on quieter waters, you would probably be comfortable in the roomy Pungo cockpit. If you want a smaller cockpit, you might check out our review of the Future Beach Vantage 144 sit in kayak. I’m a photographer too…..thank you for the extra tips and different models!! We are looking to upgrade soon from our intro kayaks soon. Best of luck with your search, Dave. Thank you for visiting our site. Bookmark us and check back often for more model reviews and great info on kayaking. I love kayaking but don’t own one (yet). Thanks for your informative review on these three models!